What? It’s fall already? And September is almost over? If you haven’t noticed, it was quite a hectic summer for me. Right about when I returned from France, I had a second interview at great company, and I got the job! I’m back on the corporate side of things, but still in PR, and still loving it. However, the new gig was 65 miles from my house. I was commuting throughout July and part of August but decided to move closer to work. Two and half hours in the car each day. No thank you. So big news number two, I finally moved out! It’s my first place that’s all my own. No parents. No roommates. Just me. In between starting the new job, packing and moving, getting settled into my new place, exploring a new area, and a visit from Sebastian, it hasn’t left a whole lot of free time. 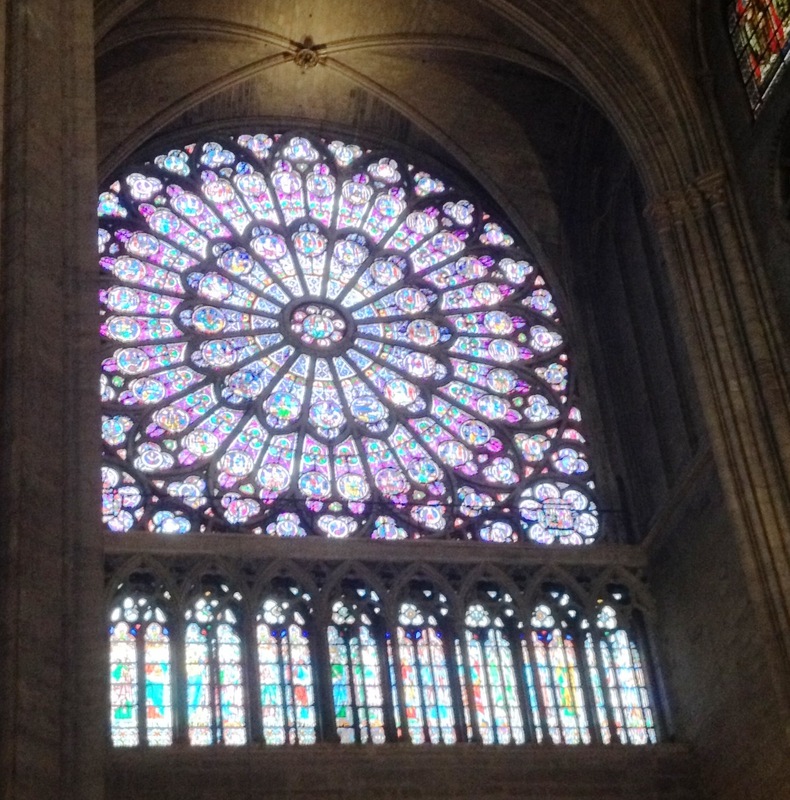 And I realized I never finished all my France trip recaps! Now that I’m settling back into a routine, and have my apartment-warming under my belt, I’ve decided to dub the end of September the weeks of France. In between some regular posts, I’ll be recapping all the fun things from my latest trip with zee German. 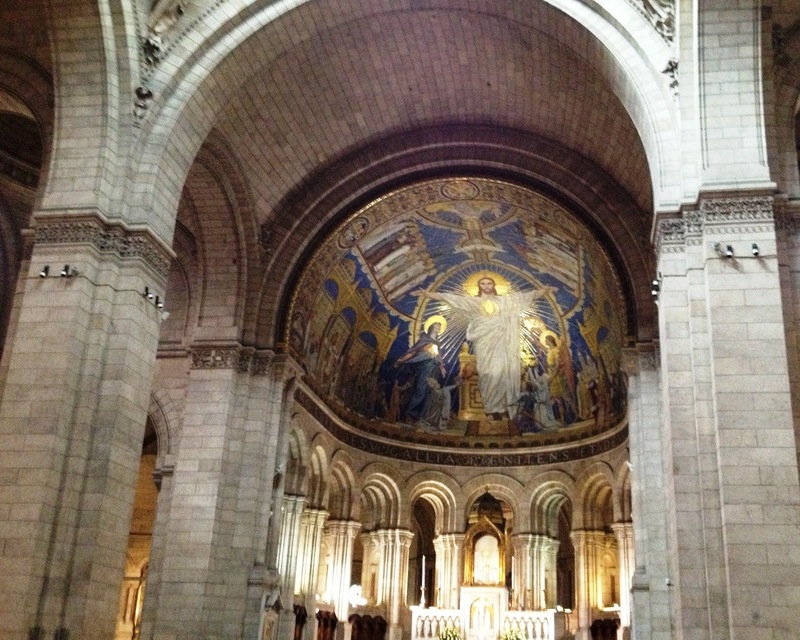 For instance, Paris has some amazing churches. 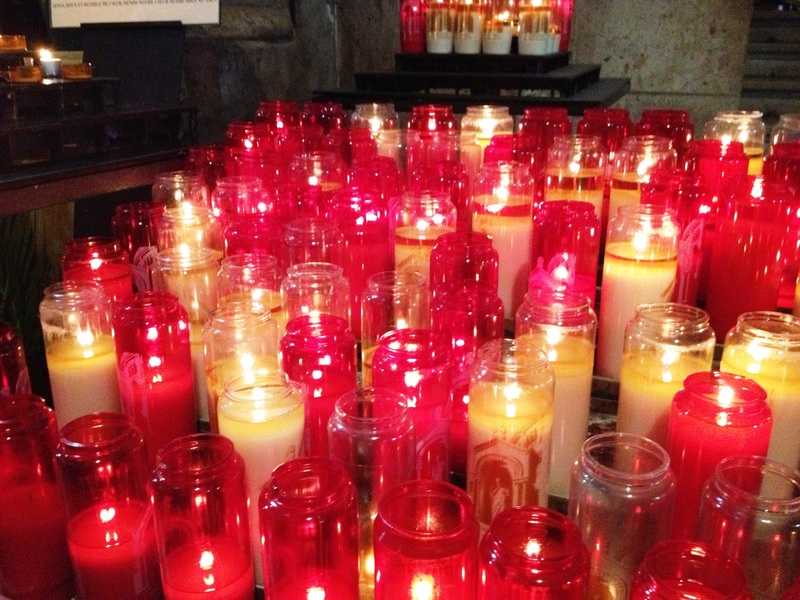 Actually, Europe in general has amazing churches. They are old and big and beautiful, and I love them. 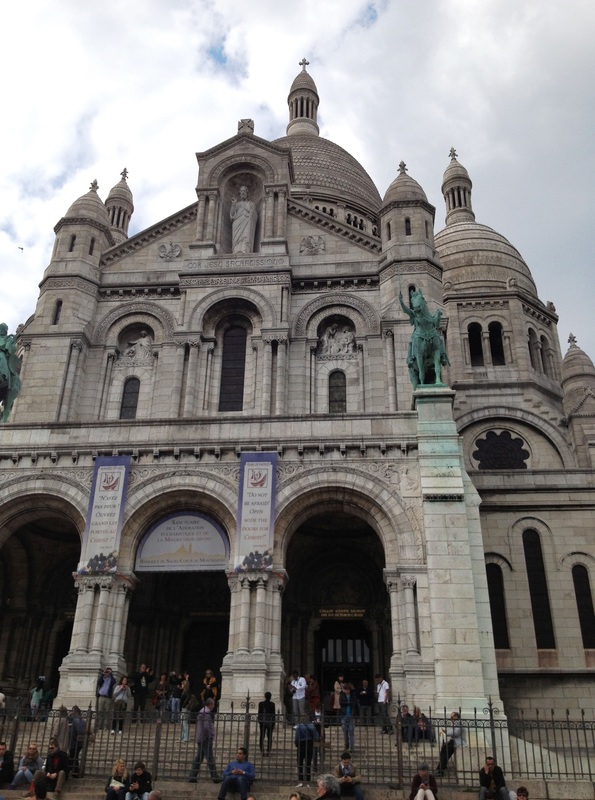 Our first day in Paris, we visited the Basilica of the Sacred Heart of Paris up on the hill of Montmartre, the highest point in the city. I loved how the church loomed high above us as we walked down the street below. 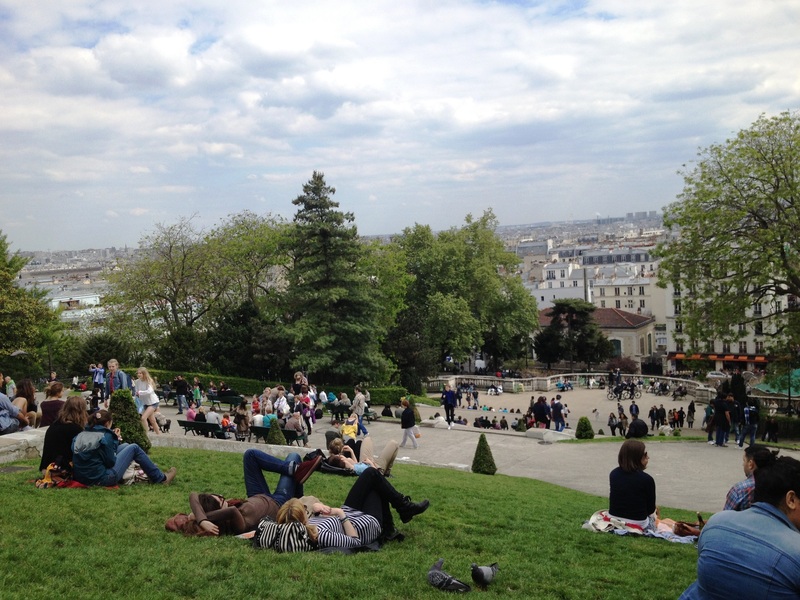 The hill leading up to it has several sets of stairs, and many people took advantage, lounging on the steps and the sloped lawn. We did too for a bit, enjoying the atmosphere. 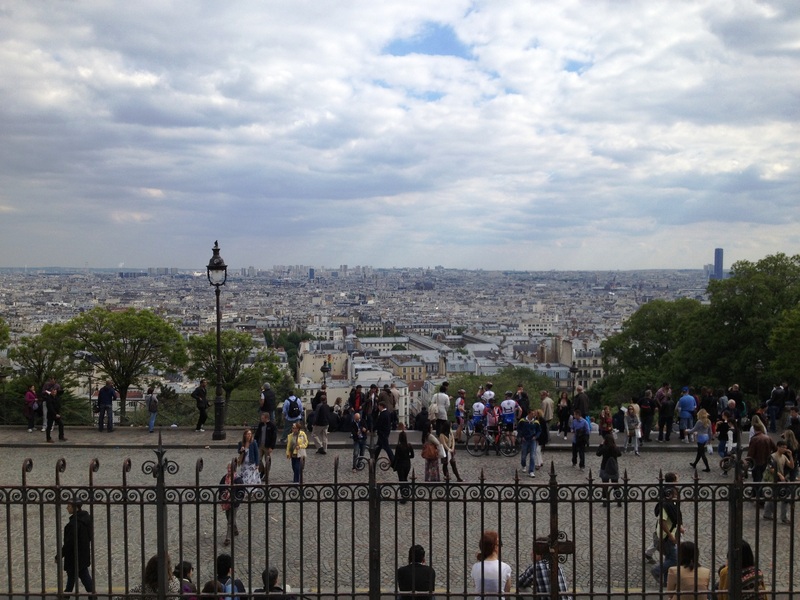 The views of Paris were spectacular. Afterward, we adventured to the local artists’ plaza. 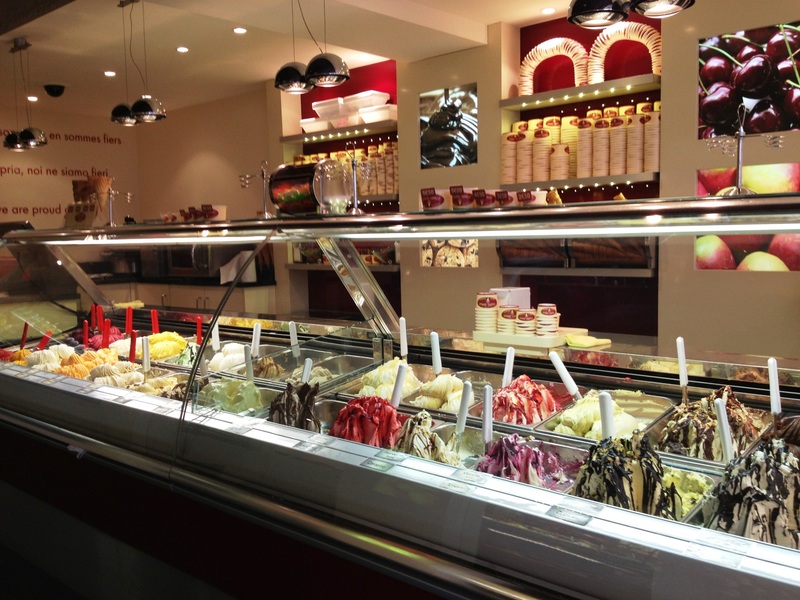 I grabbed a gelato and Sebastian a crepe, and we walked around looking at the paintings and sketches. 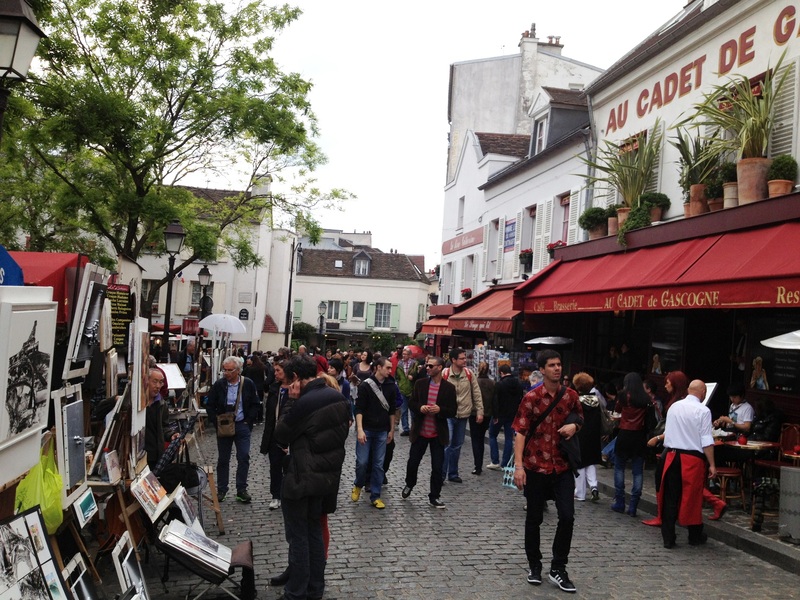 It was one of those afternoons that was so quintessentially European. 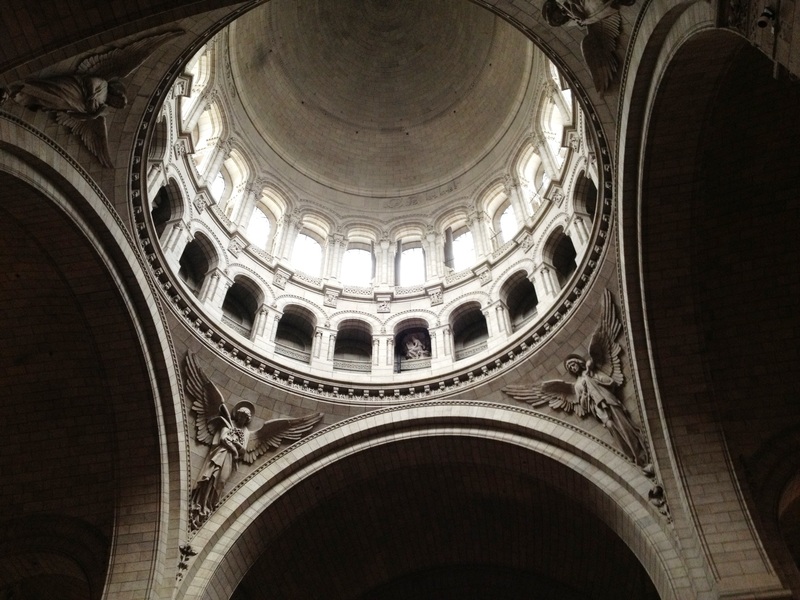 My love affair with churches didn’t end with the Sacred Heart. 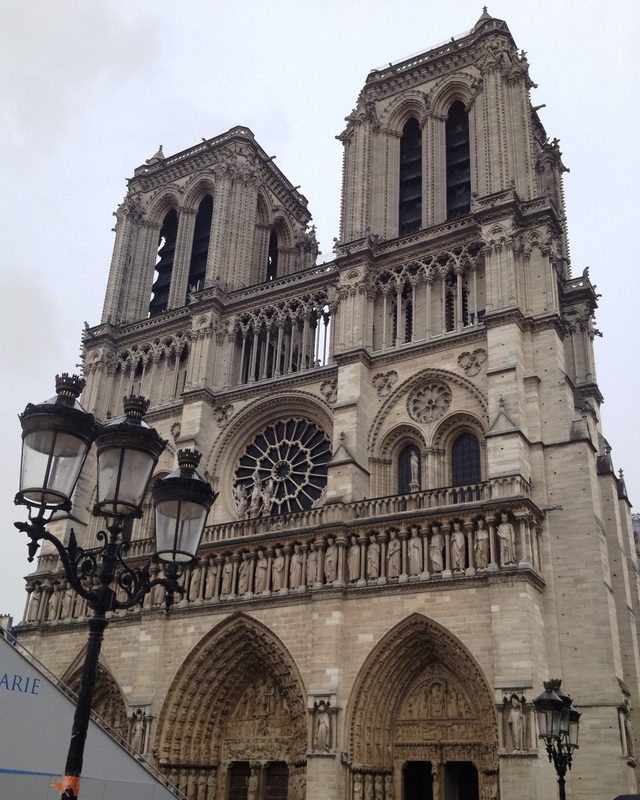 Our second day in Paris we visited thee Notre-Dame Cathedral. I was excited to enter a building with so much history and significance. It was breathtaking. 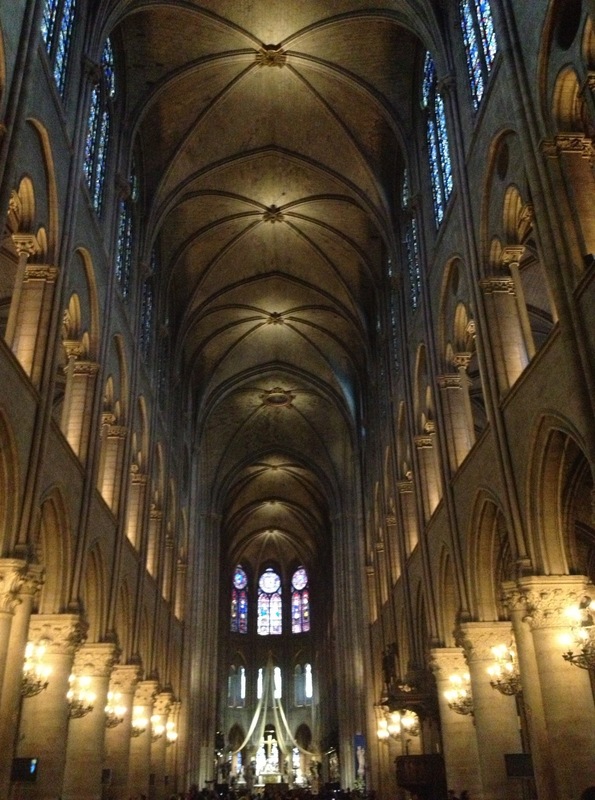 After a few steps inside, my eyes were instantly drawn up toward the ceilings – something you just can’t help but doing. It was absolutely stunning. 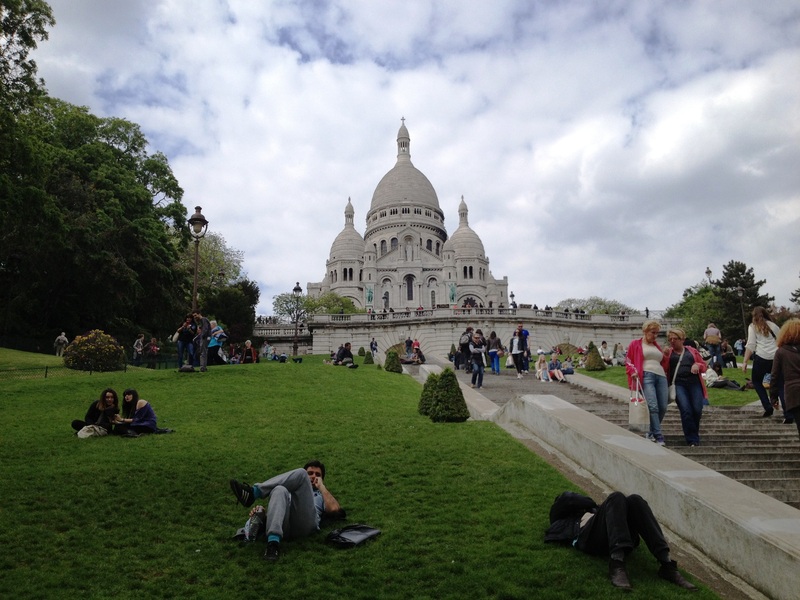 If you ever make it to Paris, or if you’ve already been, these are two places that should definitely be on your travel list. 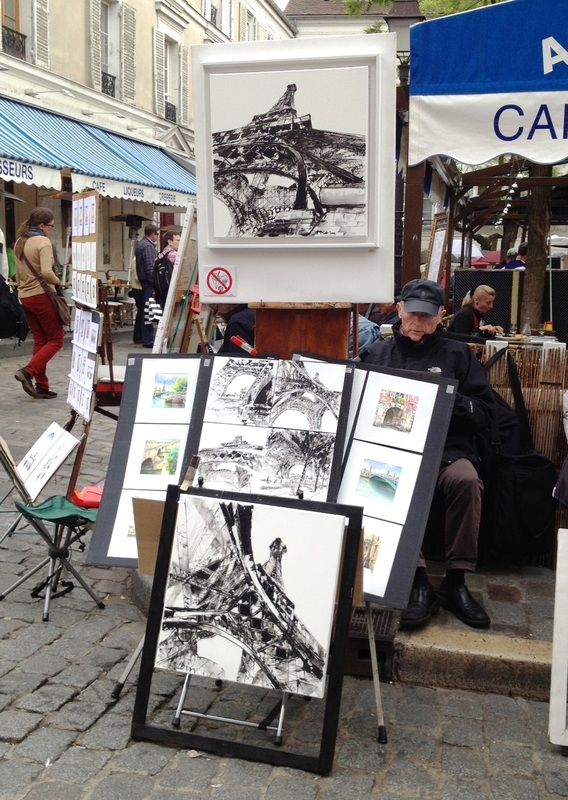 Up next in the France recaps: Locking our love on the Pont des Arts. The pictures of your trip is AWESOME! 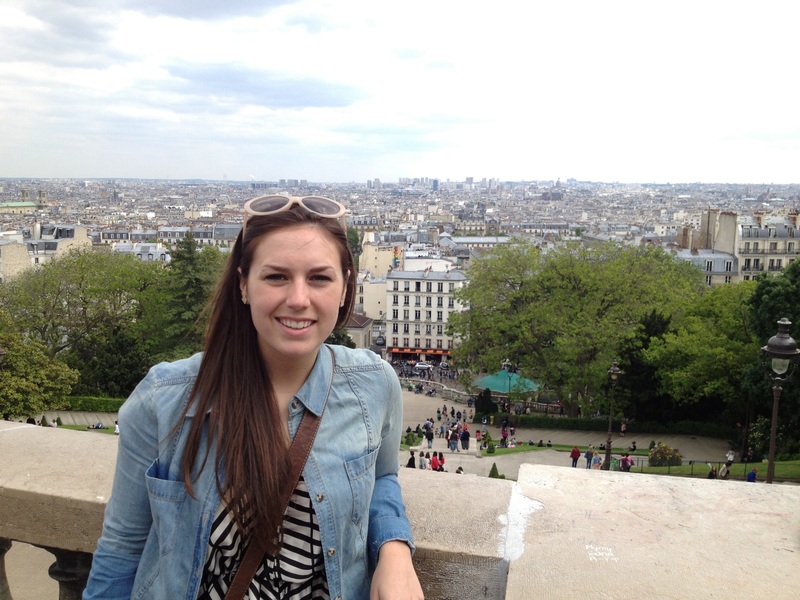 I enjoy seeing & reading your picture tour of Paris. 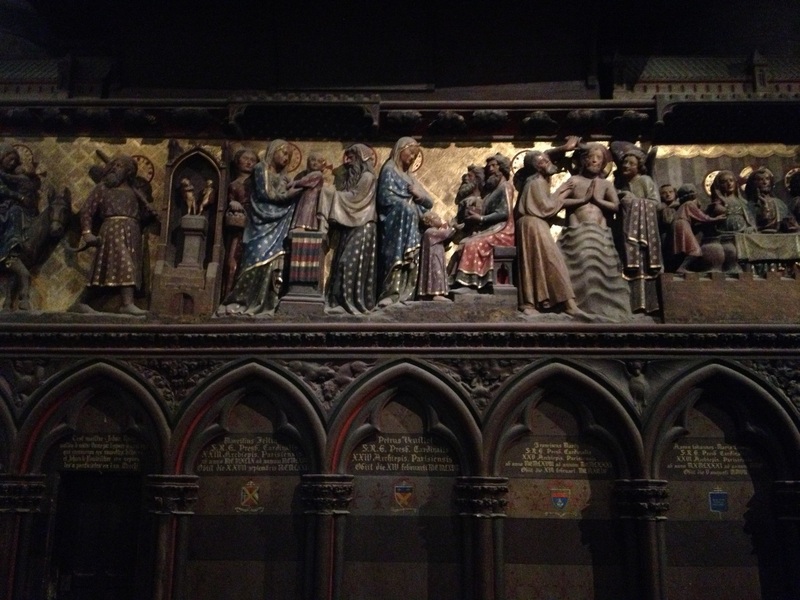 The churches are amazing and beautiful buildings in its era…. Enjoy your life as you move forward. Love ya. e for a short time in 1957. (left from the Allied Bombings in 1945. 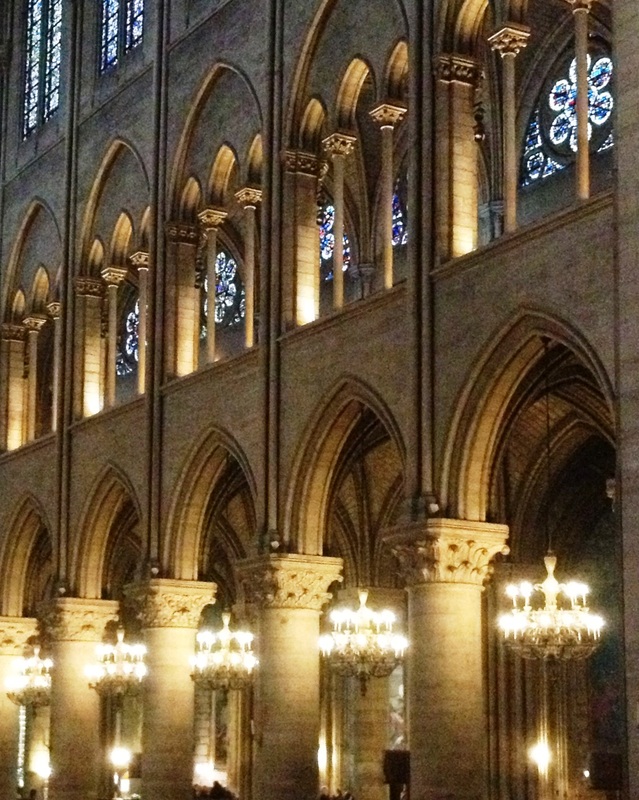 You’ve been to some incredible churches! I would love to visit the Blue Mosque in Istanbul. Some day!